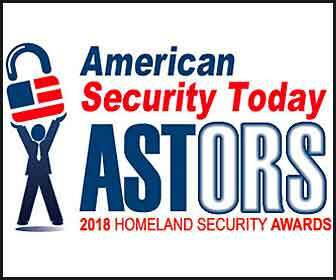 BriefCam, a 2018 Award Winner for Best Video Analytics Solution in the ‘ASTORS’ Homeland Security Awards Program, and a leading provider of Video Synopsis® and Deep Learning solutions, is pleased to announce that it has won the UK’s Defence and Security Accelerator (DASA) Hackathon. The event, sponsored by the UK government, was designed to simulate real-world incident response, focused on improving the way we investigate incidents through the application of Multimedia Analysis and Artificial Intelligence, and was held on November 26-27, 2018 in London. BriefCam earned the hackathon victory by using its next generation platform to successfully identify a real-world subject of interest in a terror simulation. BriefCam searched hundreds of hours of video from dozens of cameras and files, looking for a subject, based on limited known details. BriefCam was able to leverage low resolution, low frame-rate video files as well as simulated, high resolution, live streams to verify several images of the suspect. The subject of interest was accurately identified in less than two hours. Video surveillance always has been a critical component in enabling security and ensuring public safety: from preventing incidents by monitoring live feeds to supporting investigations by combing through recordings for video evidence. With the introduction of Video Content Analytics (VCA) technology, the value of video footage has become exponentially greater. The ability to efficiently and effectively review and analyze video is a game-changer for law enforcement and private security agencies. The breadth of multimedia formats that are represented in real world investigations, particularly proprietary CCTV, provided a significant learning curve for everyone involved around the need for near real-time ingestion. “Our mission is to help law enforcement agencies solve crimes faster and support municipalities in creating safer cities, so we are honored to have won this hackathon, and demonstrate how we help accelerate the time-to-target for investigations,” explains Trevor Matz, CEO of BriefCam. All hackathon participants were asked to process large amounts of real-time, multimedia data, and rapidly identify key information such as people, places, and events that could assist an investigations team. The hackathon evaluated how subjects of interest relate to each other, the event timeline and narrative, and near-term predictions. Application of cutting-edge artificial intelligence (AI) techniques, including machine vision, was also considered. BriefCam’s next generation video content analytics platform includes highly accurate face recognition seamlessly integrated with granular object classification, multi-camera search, quantitative analytics, and real-time alerting capabilities. Leveraging state-of-the-art Deep Neural Networks trained in diverse data sets for industry leading accuracy in face matching and object classification, BriefCam v5.3’s capabilities help streamline post-event investigations, support rapid response to situational changes, and derive richer operational intelligence for data-driven decision making. With BriefCam’s extensible Video Content Analytics platform, organizations can further benefit from actionable intelligence for their situational awareness and operational agility initiatives.